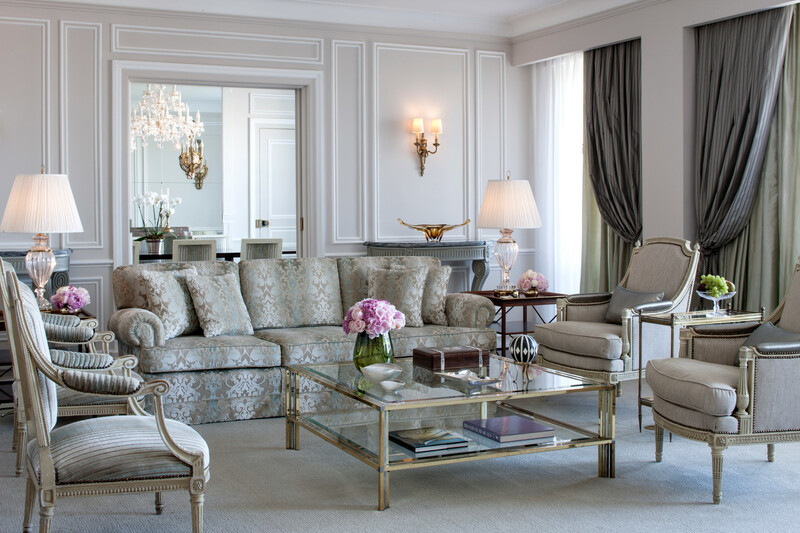 TGD recently had the pleasure of staying at one of Lisbon’s finest hotels, Four Seasons Hotel Ritz Lisbon. As soon as you enter the hotel’s opulent lobby, you’ll notice an exquisite bouquet of orchids hanging from the ceiling. In fact, there are orchid displays tastefully arranged all throughout the hotel, and we learned during our stay that these arrangements are changed weekly for optimum freshness, beauty, and variety. The flowers paired with the chic, comfortable furniture and interesting artwork makes for an engaging, but not overstimulating space to meet with friends over a cocktail, or read a book while sipping on a cappuccino. Another thing I appreciated about the Four Seasons Hotel Ritz Lisbon was the fragrance wafting throughout the lobby (we were told it’s a secret recipe made just for the hotel). The hotel excites all your senses, and we couldn’t have been more satisfied or accommodated during our stay. If you’ve ever stayed at a Four Seasons, you know that the hotels excel in the area of customer service. 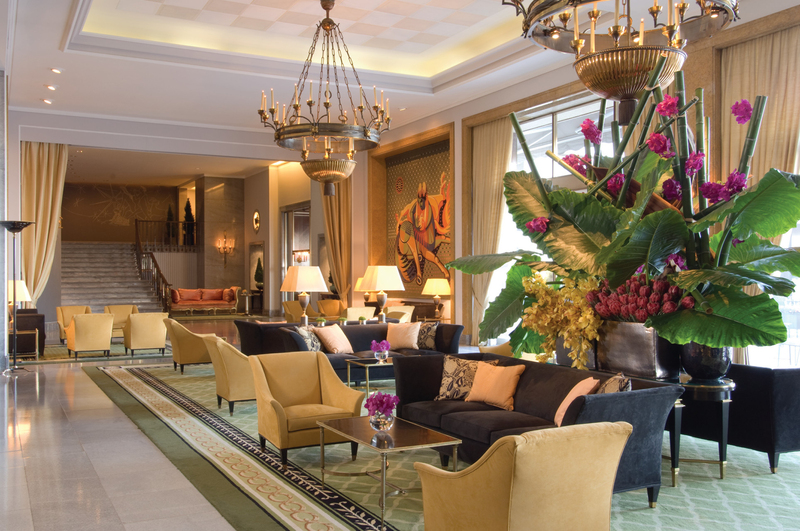 The Four Seasons Hotel Ritz Lisbon is no exception to this rule. We were welcomed warmly and genuinely at reception, and were extremely impressed by how we were treated by everyone with whom we interacted during our stay. The staff is amicable, knowledgeable, and fun to be around to boot, not to mention that their attention to detail is exceptional. Throughout our stay, we dined at the hotel often. One of our servers remembered our affinity for ginger, and when we saw her two days later, made recommendations geared towards our palates. We passed one of the staff members, who brought us room service the day before, and he remembered our names and asked us how we were enjoying the city. It was touches like these that made us feel like we were in a small, boutique hotel instead of a larger hotel. At moments, as silly and imaginative as it might sound, we felt that the hotel was open just for us. As I’m sure you know, Four Seasons is a global entity. 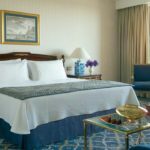 Despite this, Four Seasons Hotel Ritz Lisbon provides some very special Portuguese details to draw your attention to the fact that you’re in a very unique and historically important place. Upon arrival, we were greeted with pasteis de natas, typical Portuguese egg custard tarts, served on Portuguese-tiled plates. It wouldn’t be Portugal without pasteis de natas. 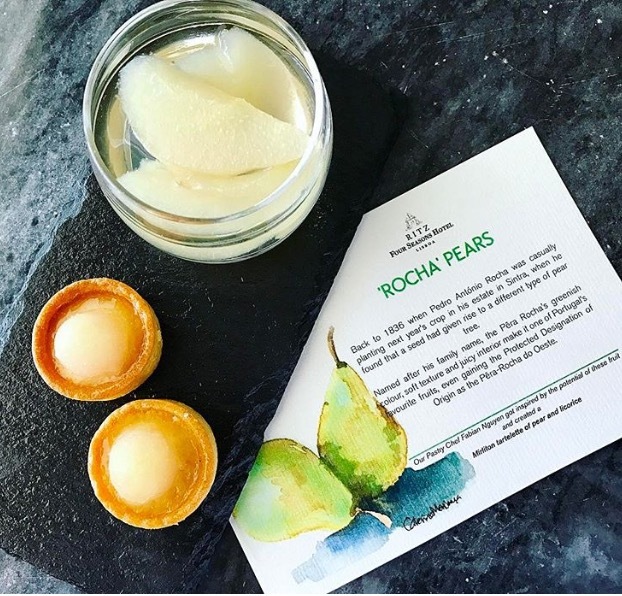 Our turn down service included pear petit fours made from Rocha pears and a watercolor pear postcard explaining the history of the Rocha pears, specific to Portugal. Another turn down service included a set of cork coasters. Portugal produces almost half of the world’s cork, so we found the coasters to be a perfect memento of our trip to Lisbon. Before we get too carried away with all of the hotel’s offerings, let me first confirm for you that the rooms themselves are divine. 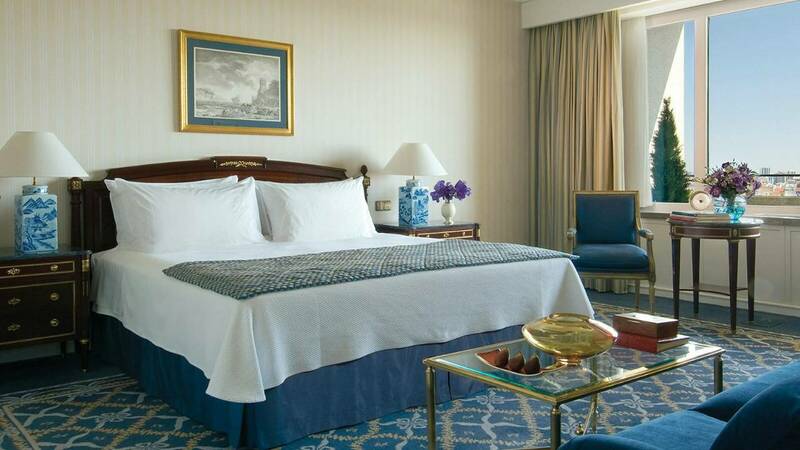 Terraces with great views of the cities, firm, comfortable mattresses with down duvets, ample space to spread out and unpack, and glorious marble, gold-accented, double-sink bathrooms. Not to mention terrycloth bathrobes, slippers, and quality L’Occitane bath products. It would be impossible to leave your room not feeling pampered. 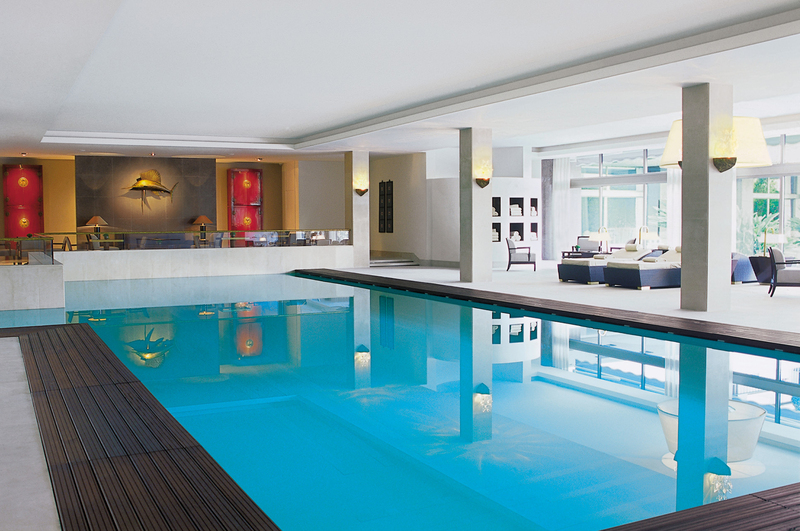 If we haven’t yet convinced you to book a room at the Four Seasons Hotel Ritz Lisbon, the Spa should further sweep you off your feet. Just entering the downstairs area, with an outside garden and fountain, felt calming and inviting. 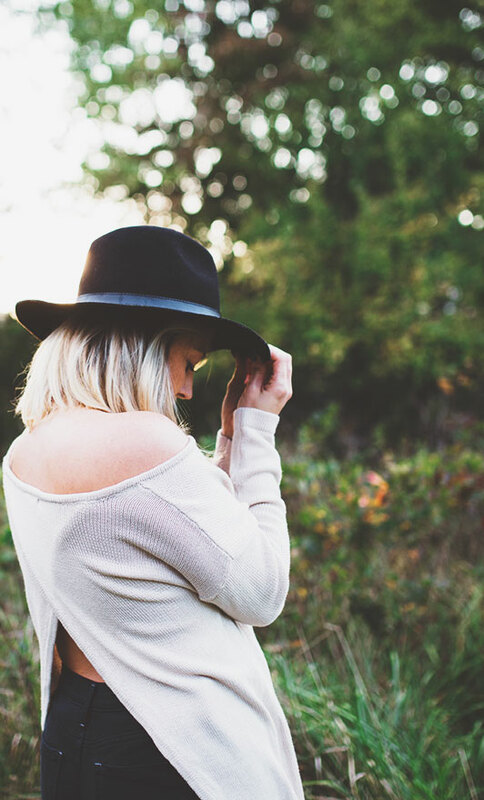 We highly recommend the sauna for a nice detox and meditation, along with any of the many spa services offered. The hotel also has a gym and track on the rooftop, if you want an even higher view than that available from your room. 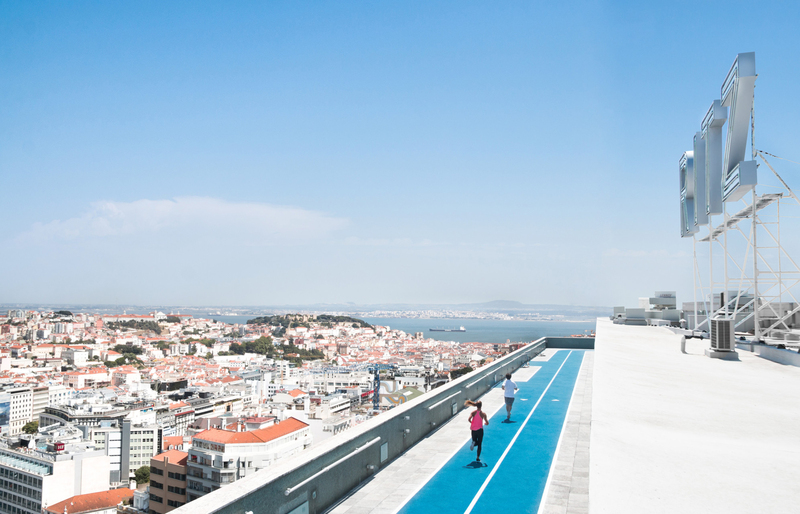 While we couldn’t motivate ourselves to exercise while we were luxuriating in the Four Seasons Hotel Ritz Lisbon’s amenities, we did visit the roof for a spectacular bird’s eye view of Lisbon. 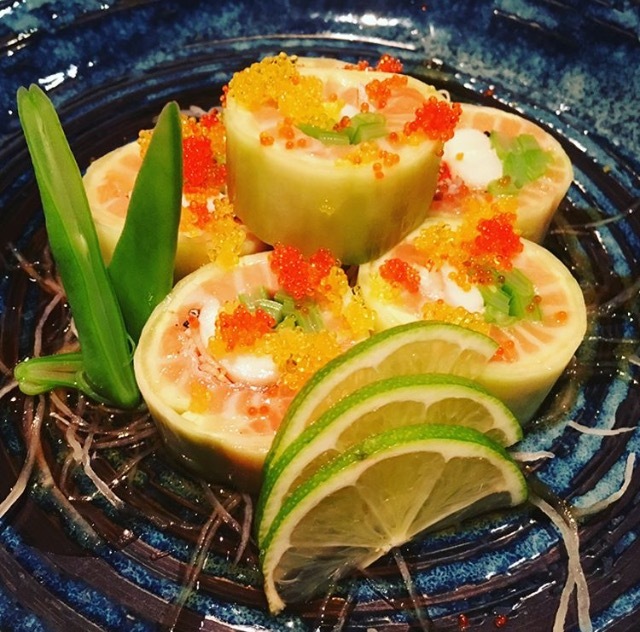 This post would be incomplete without mention of the food at Four Seasons Hotel Ritz Lisbon. 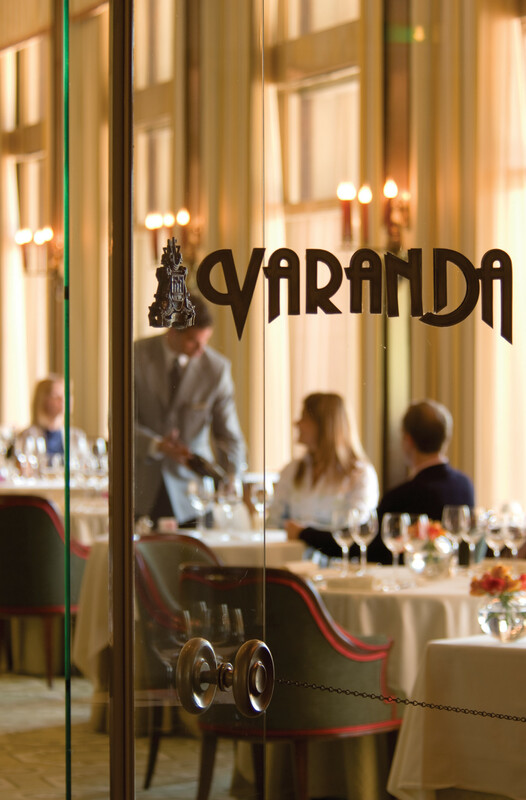 The brunch buffet at Varanda Restaurant is extensive and delectable, and the other on-site restaurant, O Japones, offers what we’ve heard is the best sushi in the whole city. Tasting it for ourselves, we really can’t imagine more fresh seafood or innovative offerings. Their cocktails are worth indulging in, as well. We had a champagne sangria with fresh berries that we highly recommend. Be sure to satiate your sweet tooth at the end of your sushi meal with the mochi ice cream trio, which was the best mochi we have ever tasted! As you can probably deduce from our text, our stay at Four Seasons Hotel Ritz Lisbon could not have been more impeccable, and for that we thank the hotel. Don’t head to Lisbon without booking your room there. 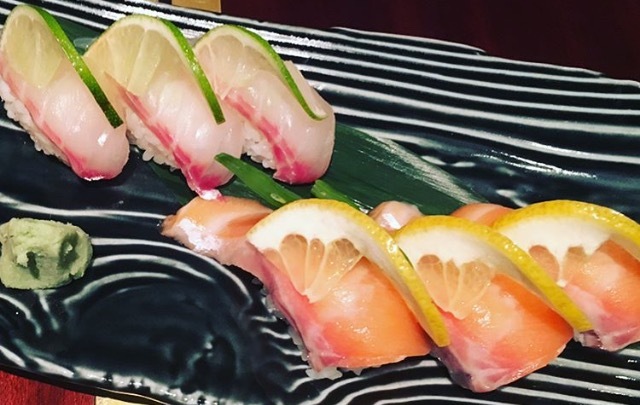 If for some reason, you can’t get a room there (which shouldn’t be difficult, given that there are 282 lodging options) at least visit O Japones for some of the best sushi you’ll enjoy in all of Portugal, or the spa to pamper yourself and relax. Don’t take our word for it, head there yourself and let us know how the hotel suits you. We’re confident you won’t be disappointed. 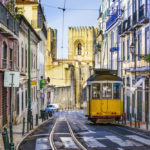 For additional tips on planning your Lisbon visit, check out our other post, and may you enjoy this culturally-rich and beautiful city as much as we did!